What lies behind the doors of Nature’s Mercantile is unexpected: A small waterfall bubbles nearby, music gently plays and an Australian Shepard named May approaches customers curiously. A large decorative wreath spelling out “CBD” placed at the entry commands the attention of all who walk in. 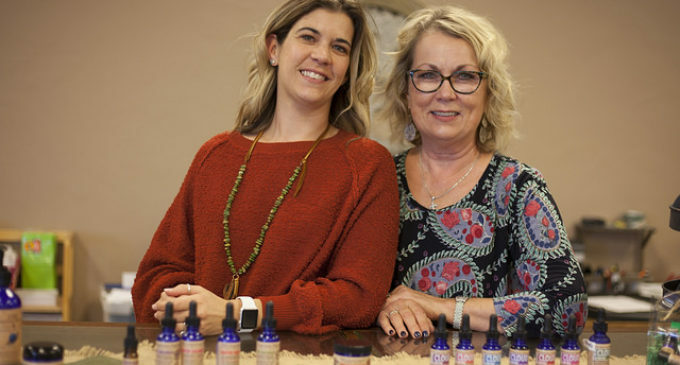 In May 2018 Linda Thaten and Mindy Coin opened Nature’s Mercantile in Denton, located at 262 S. Interstate 35E, which sells a variety of CBD products. CBD stands for cannabidiol, a chemical compound found in the cannabis plant. Although it is part of the plant, CBD itself has no psychoactive properties. Over recent years, CBD has become widely talked about and used by consumers for many things, from generalized anxiety to intense seizures. Thaten and Coin have managed to specialize in the substance in its many forms, with products ranging from candy to dog treats. Thaten said she first encountered CBD the second time she was diagnosed with breast cancer. After the cancer came back, she refused to go through chemotherapy again, even if her doctors recommended it. Thaten wanted to try a different route. “I had breast cancer 16 years ago and when I went through chemo, it almost killed me,” Thaten said. In April 2016 Thaten was put in touch with a doctor who practiced “holistic relief.” In November later that year, her doctor prescribed her CBD. At first, she was reluctant to try it out but, then changed her mind after learning about the compound and its effects. Thaten said she did not understand what many other may not understand today about CBD oil — the effects or what it really is. Thaten’s doctor prescribed her the products from the CBD and hemp company CBD American Shaman. On its website, the company offered job opportunities, such as becoming an affiliate, a wholesaler and a franchise owner. Thaten eventually became a wholesaler for the company, which led to her opening her own store in Hurst, Texas. Coin said she wanted to support her mom in whatever she wanted to do. As a firm believer in CBD’s effects, Coin was happy to help her mom set up shop when she got the chance to establish her own store. After taking CBD, Coin said she noticed calming effects with her migraines, stress and even car sickness. She said her husband, son and daughter all take CBD now. Thaten said she no longer has arthritis in her hands, which was so severe at one point that her hands swelled up so much, and she had to have her rings cut off her fingers. Thaten said the reason why the public is nervous about CBD is because they do not understand how CBD works in relation to the body. The two hand out samples whenever qualified customers want to try something. Thaten and Coin say this is how they can help people find the right match for them. 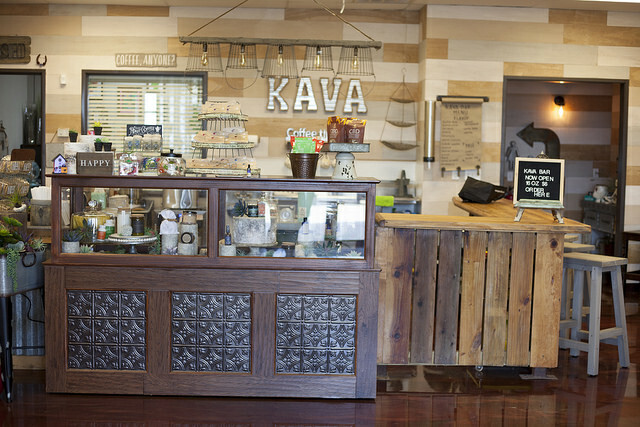 Along with CBD products, Nature’s Mercantile is also set to open a kava bar. Kava is a root originating in the Fiji Islands and is made into teas, bringing a calming effect to users. Thaten hopes to offer it as an alternative for those wanting to have a social event with friends while still having a relaxing time. Jordon Dodson, 29, and Haley Rushing, 19, are two of the employees at Nature’s Mercantile. Dodson has a degree in botany from UNT and said the cannabis leaf always fascinated her. Rushing is pursuing a degree in kinesiology and said working at Nature’s Mercantile has taught her things she can apply to her career. Nature’s Mercantile is open from 10 a.m. to 6 p.m. Monday through Saturday.